This winter British sparkling winemaker Nyetimber has a pop-up shop & event space in Jermyn Street, pretty much behind Fortnum & Mason, where they have a number of tastings and other events including some in conjunction with partners like Floris and Tatler. The store and space is open until 13th December. 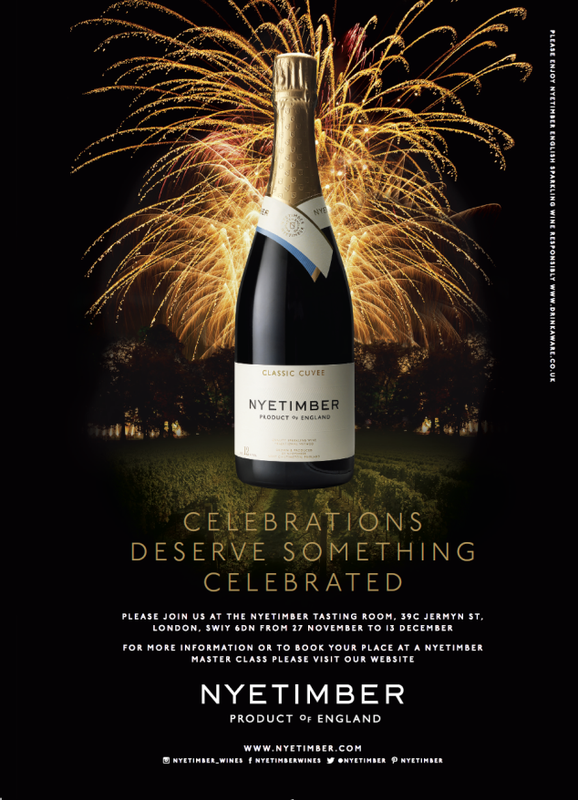 "From the 27th November to the 13th December, Nyetimber, English Sparkling Wine in association with The Crown Estate, St.James’s is bringing a taste of West Sussex to London with its exciting new Pop Up venture this festive season. By day, the temporary St.James’s space will allow guests to discover the award winning range of Nyetimber wines through Masterclasses, which will include special sessions focusing on vertical tastings of multiple vintages of Classic Cuvee and Blanc de Blancs. Guests will also have the opportunity to do some Christmas gift shopping in the luxurious retail environment. By night, the space will transform into a celebratory event location where Nyetimber will host a series of Masterclasses and parties, with like-minded luxury British brands, including: Linley, Floris, Alice Temperley, Harper’s Bazaar and Tatler."